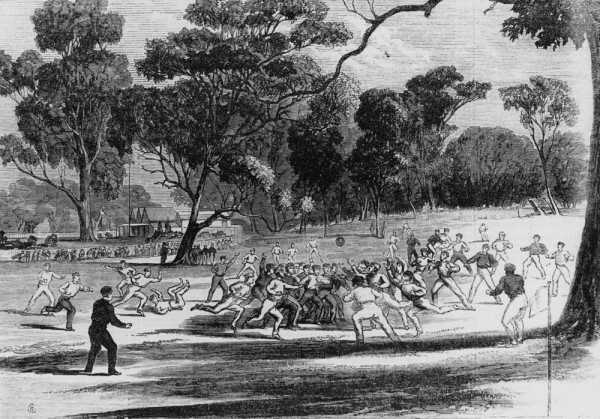 An Australian rules football match at the Richmond Paddock (now Yarra Park), Melbourne, in about 1866. The building in the background is the Melbourne Cricket Ground pavilion. Winter in Australia : Football in the Richmond Paddock. Date of creation: July 27, 1866.